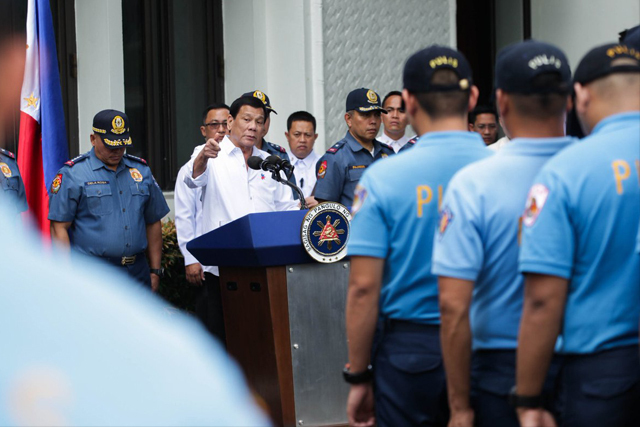 Upset over unwarranted k*ll*ngs perpetrated by some law enforcers, President Rodrigo Duterte, in his recent speech in Malacañang called on both police and military to ‘reassess’ their operational procedures in illegal – dr*g related cr*mes to curb abuse and promote order. “So bakit ka maghanap ka ng panahon na iba illegal? [So why would you resort to something that’s illegal?] I’m really at a loss of how to explain to them,” he maintained. 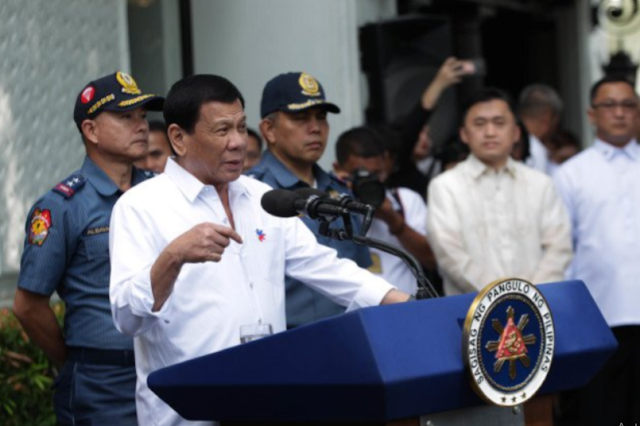 Duterte reminded law enforcers anew to keep away from abusing authority as the relentless w*r on dr*gs persists noting that he would only defend officers who perform their mandate by the book. “Sinabi ko naman sa pulis huwag kayong mag-abuso. [I told the police not to commit abuse]. You can k*ll them legally. And why do you have to k*ll them illegally?” he said, noting that he expected cops underwent basic training on “self-defense, fulfillment of duty, defense of relatives,” he said. “If you are there in the performance of your duty and there’s only one instance where you can k*ll — really k*ll a person whether a cr*minal or whatnot is that your life is in danger in the performance of your duty,” the President stressed. The Chief Executive delivered the statement after the formal conviction of the three cops that took the life of the young Kian delos Santos during an anti – drug operation in Caloocan City last year. Duterte stood firm on ruling out pardon to the convicted cops, saying he does not condone those who touts d*ath. 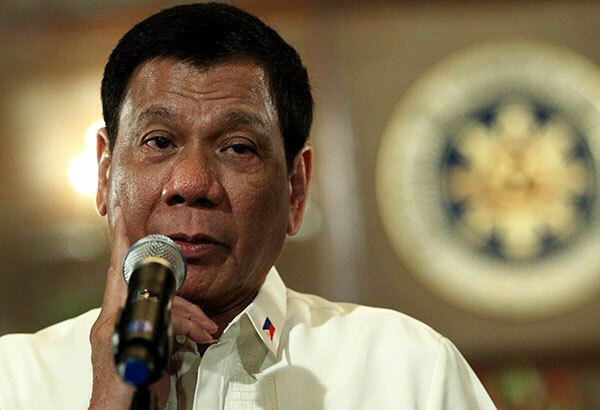 The President vowed that the government would move forward with the anti – illegal drug campaign, despite the latest court decision. “There is no let-up here just because a few policemen k*lled somebody,” Duterte said. “There will never be a let-up in the campaign against dr*gs and the k*lling will continue for as long as there are people who would resist arr*st and fight it out,” he declared. The Caloocan Regional Trial Court Branch 125 found PO3 Arnel Oares, PO1 Jeremias Pereda and PO1 Jerwin Cruz GUILTY of murdering the 17 – year old student in Caloocan City with a sentence of to 40 years in prison without possibility of parole. The convicted cops previously alleged that Kian wrestled with arr*sting officers, prompting them to gun – down the victim. Investigation from the obtained Closed – Circuit Television Camera footage, however, showed that the young boy was dragged to the Tullahan River, where he was found lifeless. The President previously said that Kian’s murder case did not happen “in the performance of duty” and clarified that he never said cops should shoot suspects already on their knees. "Of course not. Maybe, one million years from now. One billion years, it would be okay. What I said was I will defend to d*ath my soldier and my policemen if they commit some acts which would be considered criminal but done in the performance of their duties, I won't leave them otherwise my soldiers and policemen would k*ll me," Duterte said during a chance interview. Palace described the final verdict as a “triumph of justice”, asserting that the ruling is a proof that the country’s justice system is working.